Jesus Christ Inspirational Books. Books to help you in your daily walk with Christ. God has given me the vision to create books to inspire Christians men and women to have a stronger relationship with God and Jesus. If you have any questions, please call, text, or email me. For whatsoever is born of God over-cometh the world: and this is the victory that over-cometh the world, even our faith. Who is he that over-cometh the world, but he that believeth that Jesus is the Son of God? It is my dream/Vision that everyone would receive Jesus Christ as their personal Savior. 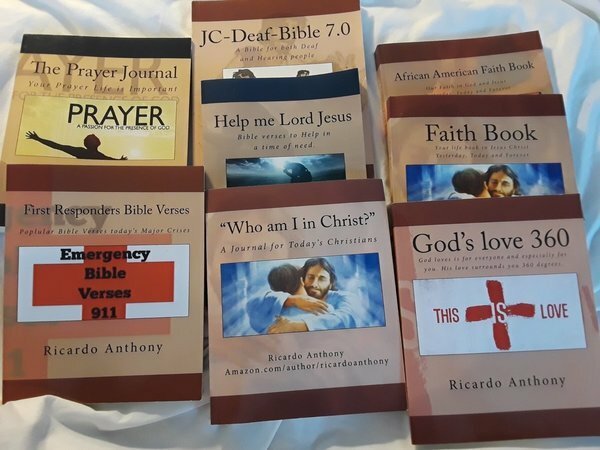 My name is Ricardo Anthony and God has given me the vision to create books/information products to help other Christians with their walk in Jesus Christ. 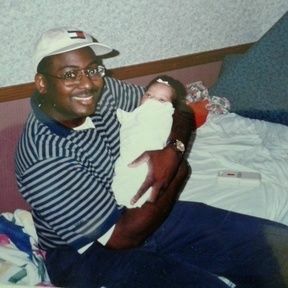 I was born with Sickle Cell Anemia which is an illness in people of African descent. Yet, God has blessed me with an Bachelors' degree in Management/Marketing at Eastern Kentucky University (EKU). I learn to interpret American Sign Language (ASL) for the deaf Christians at my church. This has given me the desire to create a graphic bible for the deaf. This book is called JC-Deaf Bible 7.0. God has blessed me with professional jobs working in the health insurance business. At one time, I was in rental business and I owned six properties at one time. One of my life goals is to help people with disabilities to become stronger independent person. I have always root for the under dog in life. My goals and dreams are to bring people of different races to Lord Jesus Christ for salvation. I grew up in a mix/church or church with different races of people, It is precious to see and experiencing loving, worshiping, caring and severing God in one accord . I believe this is just a slice of heaven. Only through Jesus Christ, can mankind be truly united and free.